A plant description often shows an USDA zone. For example, “USDA 7a“. This refers to a temperature zone of the United States Department of Agriculture. But what does this mean exactly and how to use this information? 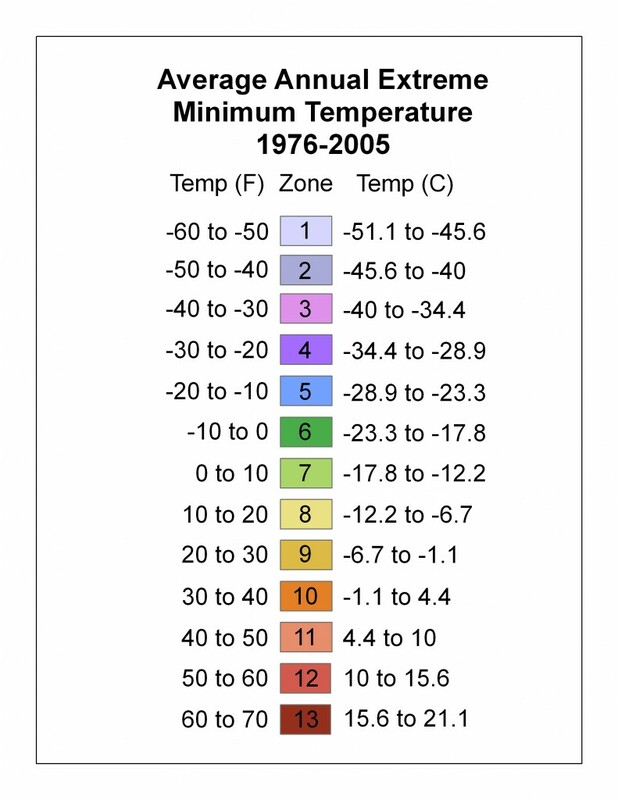 The USDA uses a period of the last 30 years to divide an area into zones per 10 Fahrenheit (0 to 10 ° F = -17 to -12.2 ° C). The zone itself can also be split into “a” and “b”. 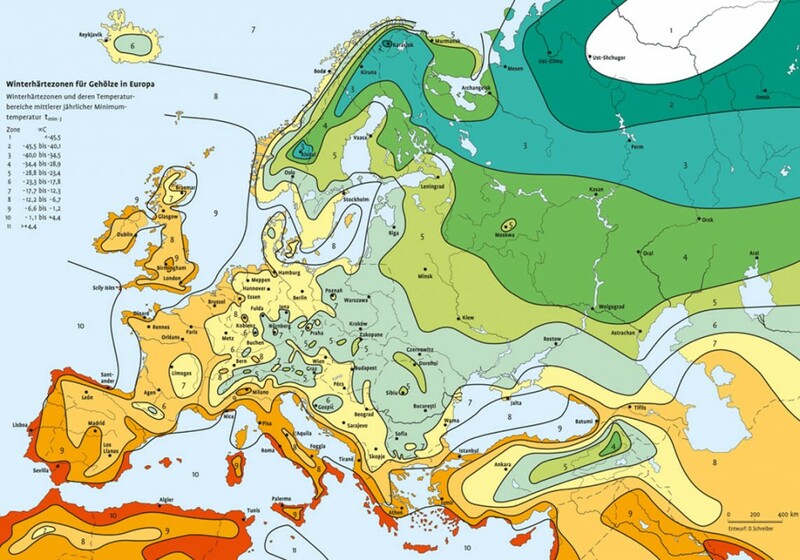 The coldest winter temperatures of each year together forms an average. It is therefore an average and not the coldest temperature ever measured. Nowadays the USDA zones are used by gardeners all over the world. 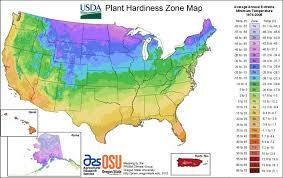 The purpose of the USDA zones is to provide a reference value in terms of hardiness of plants. For example, you can compare the USDA value of your own region with the plant’s origin value to see if it matches at least and whether the plant should maintain. The USDA zone can be misleading. Since it is a rough average and other factors such as rain, wind, microclimate, etc … are not accounted for. A long row of gentle winters will also bring up the value, which may do forget about the extraordinary cold winters. There is therefore a contradiction in the listing of plants of the USDA zone (an average and thus higher) and the specified hardiness (extreme value). This can also be seen from the following charts, where the own USDA value can be determined by municipality. As you see it will be noticeably high! For a typical winter this does not have to be a problem, but if you do not want to lose plants, it’s wiser to rely on the plant’s hardiness and your memory of the coldest winter temperature you have experienced in your municipality. This way you play safe.